Wow! I love this technique! Thanks so much for the video tutorial. You card is beautiful. Lovely card, I really like how the image looks on vellum it’s so pretty! Very pretty card--thanks for sharing how you made it. Thanks for your inspiring lesson on mirror imaging words on vellum. Your CAS card is beautiful! Lovely card! 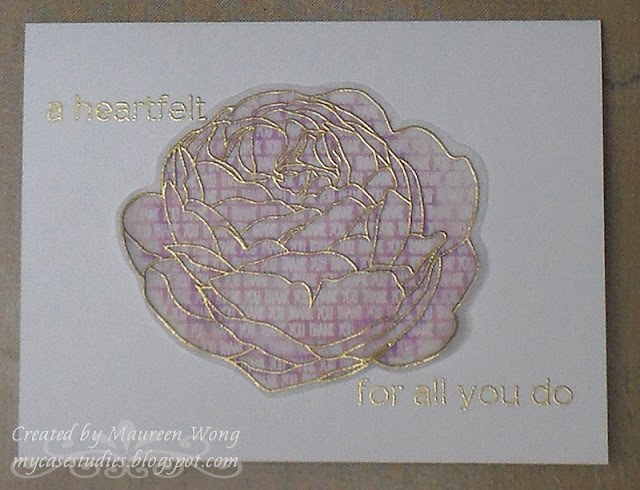 Thank you for the video showing how to do the mirror image stamping. thanks for the details on this project. Will be giving it a try. Very cool idea! What an elegant look! Wow great card. Thanks for sharing using words as I would have never thought of that. What a great idea. Super card. Great technique for the background. Love the rose on vellum. Beautiful card. Wonderful technique on getting words on vellum! 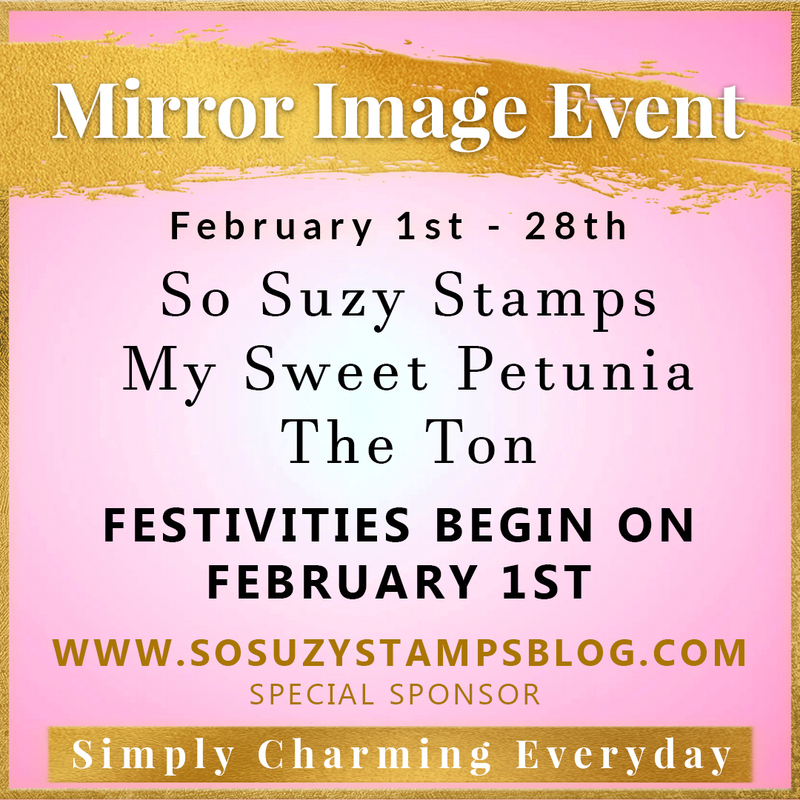 I love this Mirror Image event - so many cool ideas I would never even think of! What a great idea!! Thanks for the tip. I'm loving this mirror image event and learning so much. Beautiful card. Thanks for a great new technique to try too. Just beautiful and a great tutorial! TFS! Fun. I have never seen the backwards stamps, This new stamp makes it easy. And it looks easy. Huh. I was not aware of the backwards stamp. would like to get the mirror image stamp to try some of the techniques. How very cool! I've never seen this before! Incredible concept! I love how the products were used to create this beautiful card! 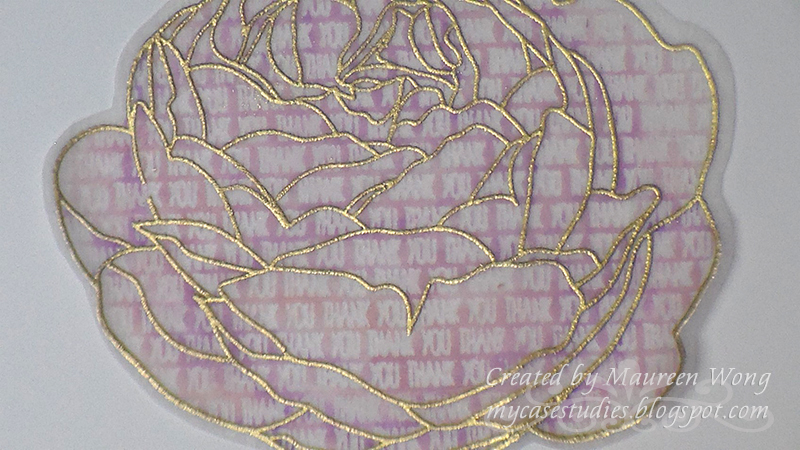 Maureen, I love using vellum and love your use of mirror image stamping the "thank you" so it would appear correctly! The finished card is gorgeous! Thank you for sharing. Beautiful card! I love this idea for vellum... such an elegant look! I'll have to give this a try. Great use of the Mirror Image stamp! Absolutely fun technique thank you for showing how to do it in your video. Your card turned out super pretty. Such a clever design! TFS this technique! 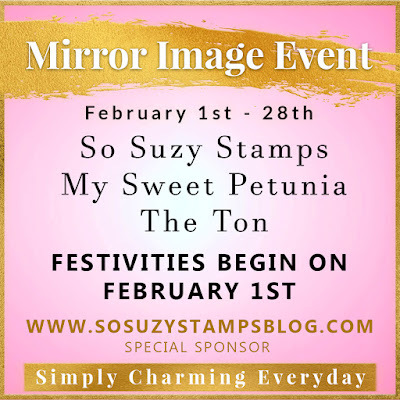 This is such a cool technique to do with the mirror image stamp. I love vellum and now have another idea on how to use it. Scooby dooby dooooooooooooooo! LOVE this idea! I am going to have to rush into my craft room and get to work on this to see what I can come up with! Thanks for the inspiration! Your card is so beautiful! Thank you for sharing how to do this technique. I can't wait to try it! The rose is so stunning! Very pretty!!!! I will definitely have to give this one a try!! Wow that was a very clever use for mirror stamping thanks! very nice card with an informative tutorial. thank you. Thanks for sharing an awesome technique! Love your card! Beautiful! Thank you for the video. Loved it! What a great technique! I never thought to use it for sentiments like this! Love your card! Very pretty card. Embossing on vellum always looks awesome, IMO. Thank you for the video on your technique. Wow!!! I've never seen this before! Love your stunning card!!! Thanks for sharing a bit of history and the simplicity of the Mirror Stamp. Your tutorial is easy to follow! Thanks! What a beautiful card. Thanks for showing this technique. I always like trying new things with vellum. Great idea! Love this idea what a great technique. Thanks for sharing such a pretty card! 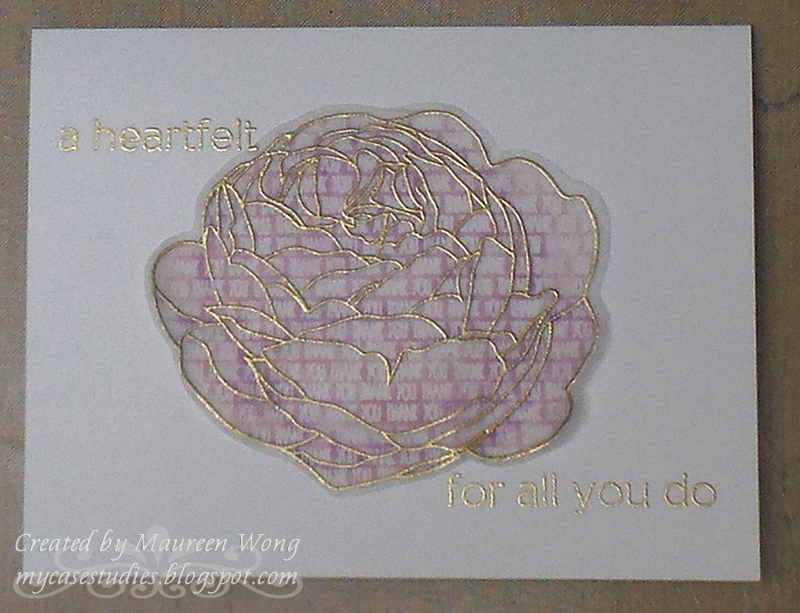 I like the look the soft feel the vellum overlay gives the card. I will have to try this technique. What a clever and beautiful technique! Fabulous stamps and I love vellum. It adds class to every card. what a clever idea! I never would of thought to use words on mirror stamp! loved the video it explains how to make it perfectly. Very cool!! 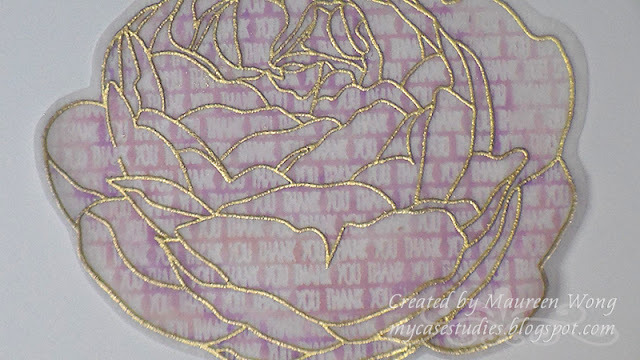 A fabulous technique and I Love the gold embossed outline! Interesting technique. I'm not anywhere near ready to do something like that, but I love the way it looks. Thank you for sharing. Thanks for sharing this technique!!!!! Love the use of mirror image with words! Great technique! This is terrific. It's truly beautiful. Thanks for sharing the technique! What a great Idea! you have made a lovely card. That's a great technique I'll have to try that. I've always loved the way embossing looks on vellum, I think I need to do this more often. Clever clever CLEVER!!!!! I am soooooo going to copy technique. What a cool technique. So many amazing ways to use the mirror image and I love every one of them. Your card is stunning. The idea of the text behind the flower is awesome. Thank you for the inspiration ! Fascinating technique! Thank you for sharing!! Another fabulous possibility thanks to the mirror image stamp!! Such a great idea makes for a beautiful card! So eloquent with that image in gold! Love this idea. You are so creative. Thank you for sharing.